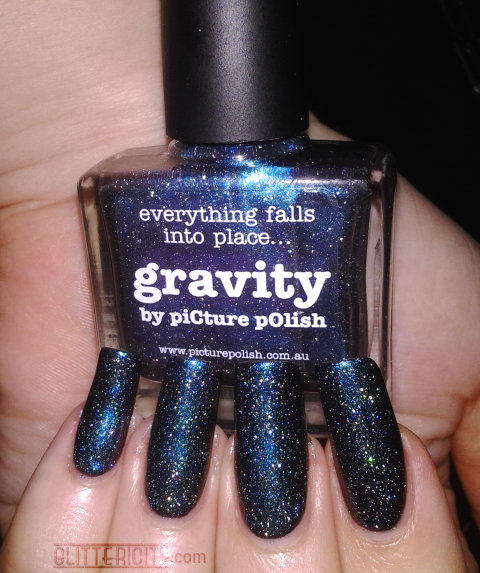 The last polish I have to show you is Gravity. It is primarily a dusky midnight blue, but shifts to cerulean, teal, purple, pink, and at some angles even a dusty mauve. 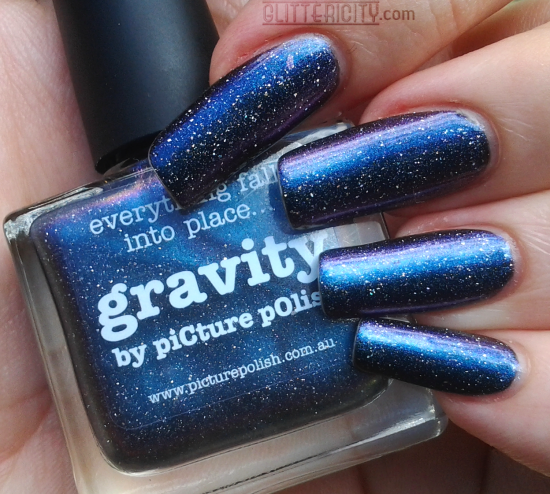 And of course, it sports those lovely PP scattered holo flecks! I had two days of different lighting situations with which to take pics of this one, so I have a few more than the previous polishes. 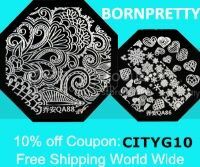 But I think it's worth it, because this one has so many different facets! 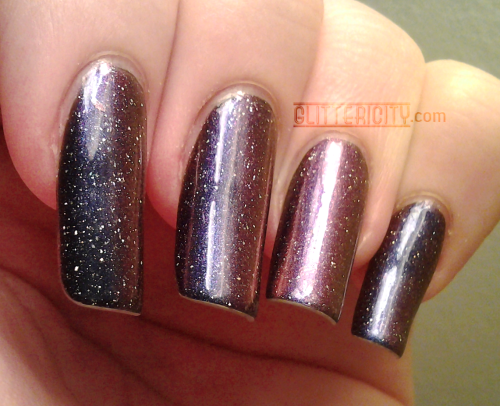 All swatches show two coats over black, plus topcoat. 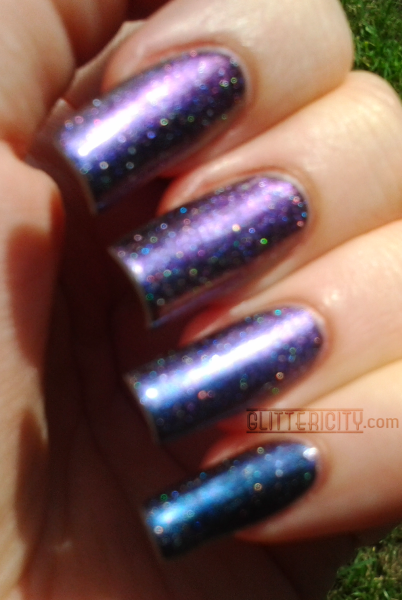 Unlike the two swatches before, I used Seche Vite instead of KBShimmer. I have slightly more shrinkage in these shots--so sorry. Indoors with flash. More of a midnight blue here. I love this look. I feel like I am gazing up into the night sky. One last pic inside--I like how it looks more muted and greyish-black, with the more dusty-mauve at an angle. 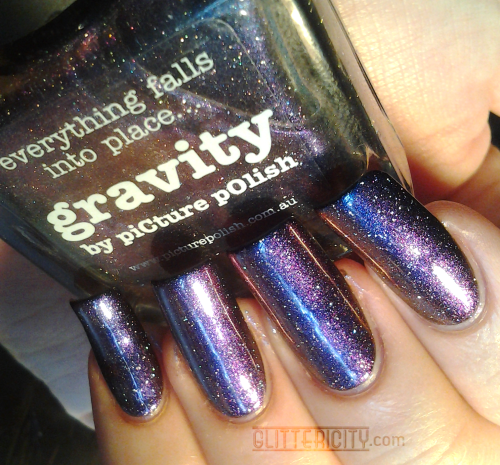 This polish looks different everywhere--and I love it!